But all those high end models used by most pros will set you back a large chunk of change, as much as $1500 for a full up rig that can support a 600mm f/4 (for example a Gitzo 3541LS and Wimberly WH-200). And it’ll weigh close to 8 pounds and take up a large chunk of your duffel. As a more practical alternative for the travel and nature photographer who goes on photo safaris but doesn’t shoot every day Gitzo introduced a line of travel tripods, in both regular and waterproof Ocean models. The problem is that they start in price at $999 for the 4-section Gitzo Traveler, still a very hefty chunk of change for an item you won’t use all the time. The Gitzo Traveler pictured here features a lightweight Gitzo head which while not as solid as the RRS BH-40 is still an excellent travel head and works well with a Wimberly Sidekick for lenses up to a 500mm f/4 or 200-400mm f/4, but not all that well for a 600mm f/4. So I was quite excited when B&H let me know that Oben has released a very similar sounding travel tripod and head for less than half the price. 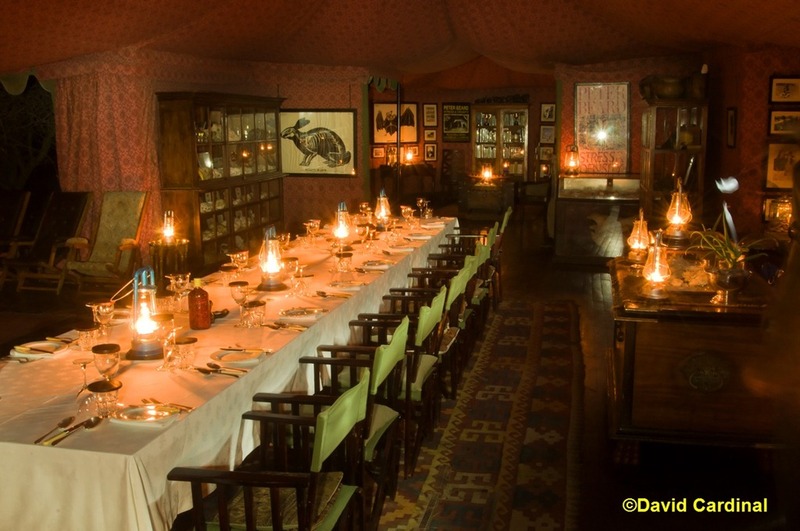 I brought one along on my Africa photo safari and used it as my exclusive tripod for 3 weeks and we also compared it to the various models of Gitzos and Manfrottos that some of the participants had with them. What we found was promising but a bit of a mixed bag. CUSTOMER UPDATE July 23, 2011: One of our readers purchased an Oben from B&H and found it didn't sit level. They sent him a different one but it had one leg with a defective lock and was also returned. He's now gone with an Induro model without the folding leg features but that has been more reliable. Perhaps he got unlucky or I just got lucky with the one they sent me to use in Africa. In any case the very aggressive price of this tripod carries with it a caveat emptor on ensuring you get a working product while you still have the option to return it. Oben is yet another (like Benro) Chinese Gitzo-esque maker of tripods and heads. Regular readers know that I like Benro legsets as a good value option to the pricier Gitzo models but didn’t like their heads much. So I was ready to give Oben a try. They appear to be something of a B&H “house brand.” Interestingly they advertise their carbon fiber legs as being “6x” just like Gitzo does. 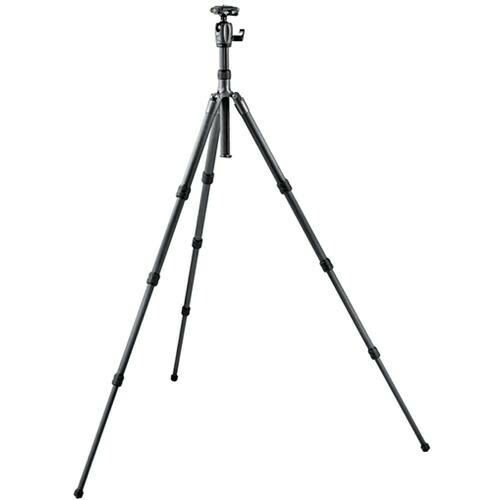 Recently the major defining feature of travel tripods is that they allow the legs to fold up and over the ballhead and center column providing a very short length of packing. The Oben 3520 does this and fits nicely into the included carrying case. Personally I think this idea is a little over-rated as if you are willing to unscrew the ballhead from the legset you can get much of the same benefit with a non-travel model. But it is certainly convenient to have the entire tripod including head fold up nicely and compactly into a case that can be thrown into a truck or duffel easily. Most pros will agree that center columns are the bane of stability. There is no question you can get a more stable base by using a legset with a simple solid plate instead of a raisable center column. But in the quest to build small, light and cheap(er) tripods has led the designers of most of the travel models to use them to allow them to reach a useable height. The Oben is no exception and their center column is very similar to Gitzo’s so while I’m not in love with the idea of using one it is part of the package in a travel tripod. At first I didn’t like the leg locks as much as those on my Gitzos, even though they do have the anti-twist feature, but after using the legs for a few days I found I could operate them almost as fast as the Gitzo version. I also don’t like how “straight up” the tripod sits at the first leg stop. It is too vertical to yield a really stable base. And the second stop out for the legs is too wide. So it is easy to find yourself partway between the first and second leg stops. By contrast the first leg stops on all of my Gitzos seems to be ideally placed for maximum stability. The most important feature of a tripod is whether when you finally get it where it needs to be and have it set up whether it can support your camera properly. I was very pleased with the stability of the Oben 3520 with D-SLRs and lenses ranging from my Sigma 24-70mm f/2.8 to a Nikon 70-200mm f/2.8. For my Nikon 200-400mm f/4 I used it with a Wimberly Sidekick. One really nice innovation is the combination rubber/spiked feet on the Oben. By default the spikes are recessed so you have rubber feet. But by screwing the rubber portion “in” the spikes extrude and provide sure footing on surfaces such as ice. This makes them quite useable unlike the Gitzo version which I find to be a joke (with the Gitzo combination feet you need a special little tool to turn the foot one way and the rubber the other to get them to stay tight each time you switch them from spike to rubber or vice versa). The Oben also features a reversible center column which I pretty much never get around to using but if you like setting up a lot of really low height shots is a plus. And it has a hook on the center column so you can add some extra weight for stability—particularly helpful if there is some wind or the ground contact points are a little iffy. And it is worth repeating that the entire tripod plus head weighs in at just over 4 lbs.—quite light for something this functional! I was very pleased to see how well the Oben worked with my Wimberly Sidekick and Nikon 200-400mm f/4 lens (8 lbs. or about the same as a 500mm f/4) + D-SLR. That’s just over 12 pounds of camera gear to support and too much for many travel heads. But the Oben felt solid and was easy to use in this configuration. 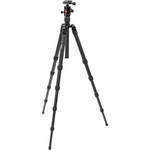 B&H carries a variety of 4 and 5 section Oben Folding tripods. The 4-section models are a little less work to set up and tend to be a little stiffer (which is better for supporting your camera) but don’t fold up quite as compactly as the 5 section version like the one I used. They are also available in several heights. Ideally you’ll want one that brings you camera up close to eye level when used with your standard lens plates and lens foot. You can see the full line of Oben Folding Tripods online at B&H. Is an Oben Folding Tripod the Right Tripod for You? The answer really depends on your needs and your budget. For the ultimate mid-size tripod legset and head there is no better solution than the Gitzo 3541LS combined with the ReallyRightStuff BH-40 head—but the combination configured for Arca-Swiss style plates will set you back $1200 and require 21” of length in your duffel for the legset alone. For travel if you can afford it the Gitzo Traveler for $999 is the cat’s meow (currently minus a $100 rebate). But by comparison the Oben 3520 with BB-1T ballhead including a clamp for “Arca-Swiss style” plates is only $469. Shorter models are slightly less expensive. I've had a CF travel tripod on my shopping list ever since we returned from our terrific trip with you to Southeast Asia. A month ago I even had a Gitzo from eBay in my hands, but I wound up returning it. Your experience with the Oben in Africa puts a "gold seal" on it in my book, and I'll probably order one after the upcoming holiday. One feature I noticed in the B&H video but not mentioned by you: The ball head has built-in bubble levels. Glad you enjoyed the review and hope you also enjoy the tripod if you wind up getting it. As to the bubble level as you figured out it is actually sort of "in" the quick release clamp. As a result I didn't find it all that useful since I typically like to level my camera while it is mounted rather than try to level the clamp and then mount the camera (the process of which can upset the leveling if you're not careful). For panos I typically use a panorama plate which has a level in any case so that helps.